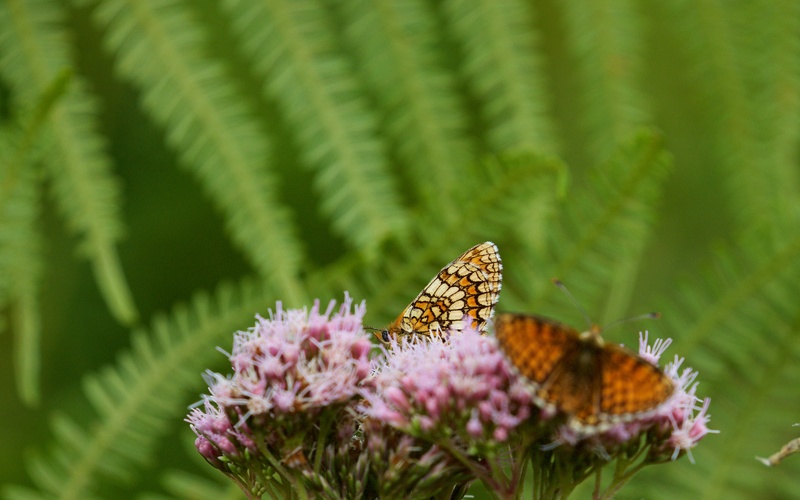 Everywhere in the quiet borderland of the rivers Dronne and Lizonne/Nizonne there are fritillary butterflies, captivating in their intricate brown, orange and gold filigree patterns; all confusingly similar but subtly different. This then is a brief and provisional aide memoire on the six (or seven) common species which occur and thus a basis to compare and contrast their distinguishing features. I remain unsure how to tell heath (Melitaea athalia) from meadow fritillary (Melitaea parthenoides); I think I have only found the former. I am also confident that there are likely to be other errors to iron out in the details set out below. The barren limestone or causse of Le Plateau d’Argentine not far east of Les Tourbières de Vendoire. 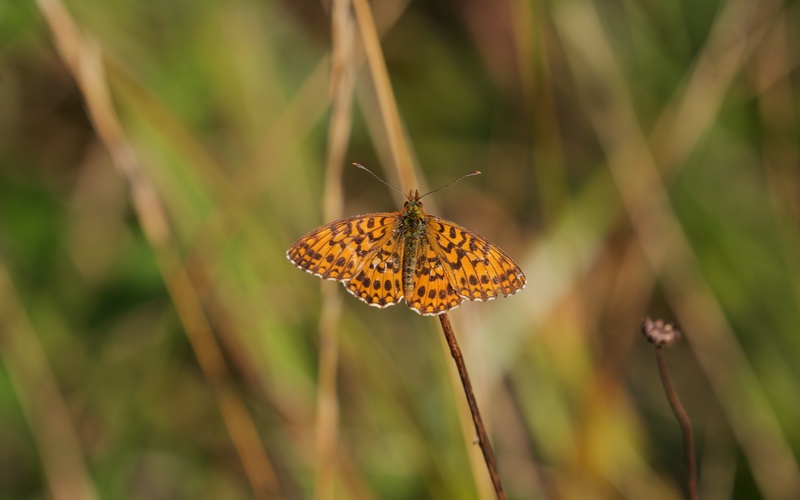 Small pearl-bordered fritillary (Boloria silene) was only found in the Forêt de la Double along grassy rides. 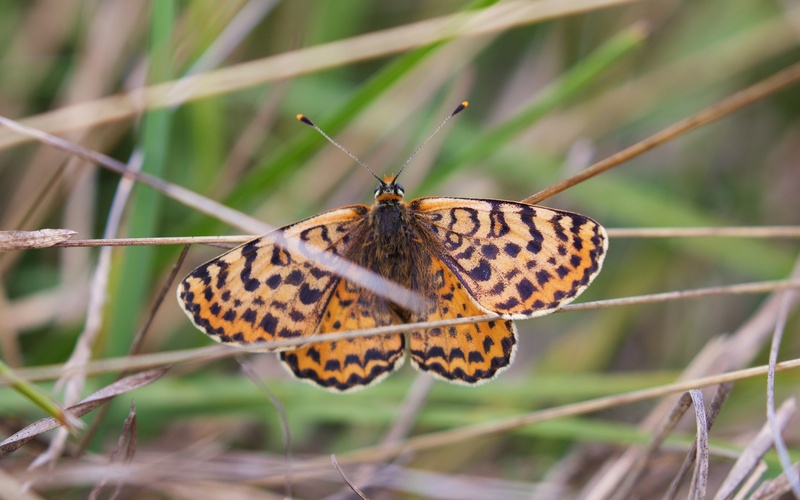 Underside of small pearl-bordered fritillary – the large black spot is the key distinguishing feature. 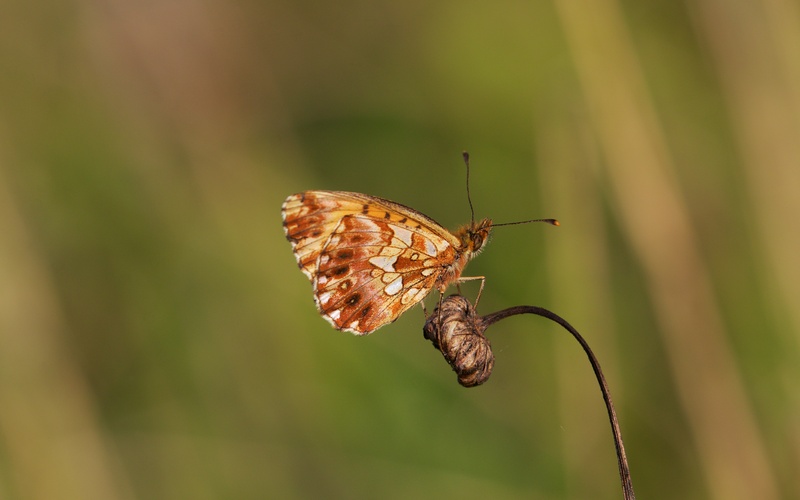 Upperside of small pearl-bordered fritillary. 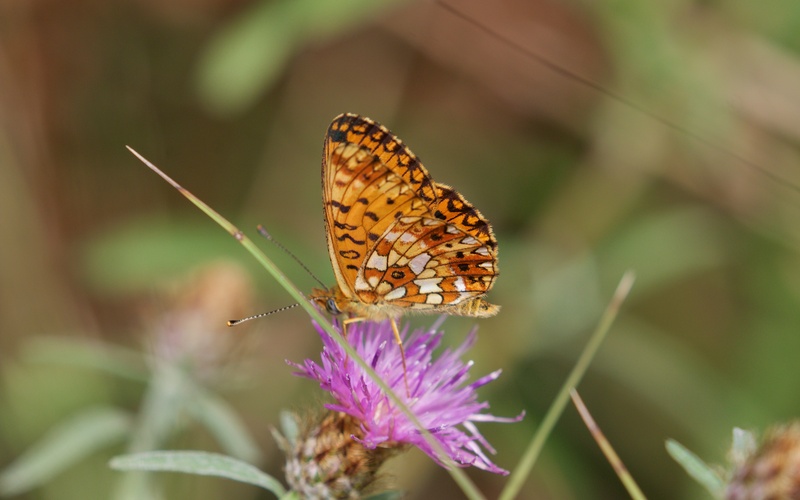 Weaver’s or Violet fritillary (Boloria dia) only found in the grassland adjacent to the Moulin de Perdrigeau, where Dartford warblers teez in the young pine and heath. Underside of violet fritillary is a beautiful violet. Upperside of violet fritillary; the line of round black spots along the trailing edge of the wings is diagnostic. 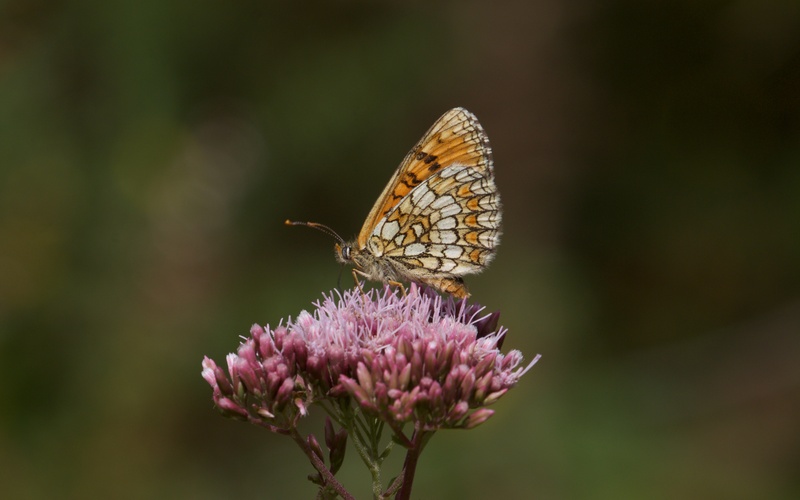 Heath fritillary (Melitaea athalia) was also only found in the Forêt de la Double along grassy rides. 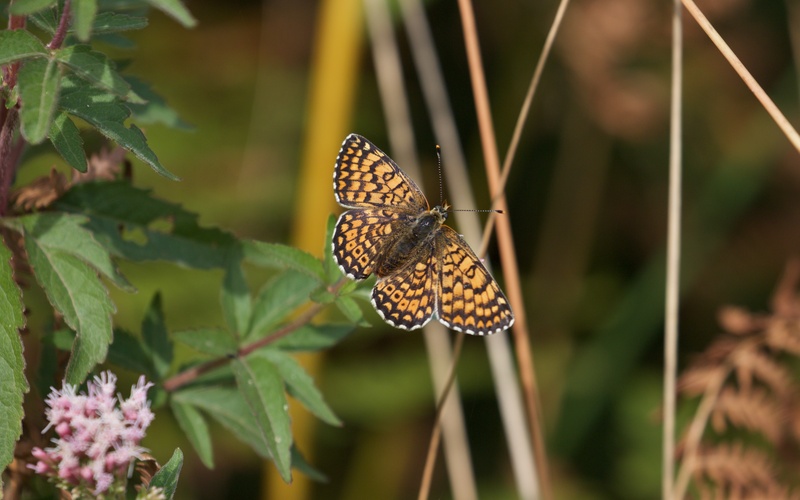 This is the most difficult species to be sure about; this could easily be Meadow Fritillary (Melitaea parthenoides), which is virtually the same and is equally common. Another view of the underside against a bracken backdrop. 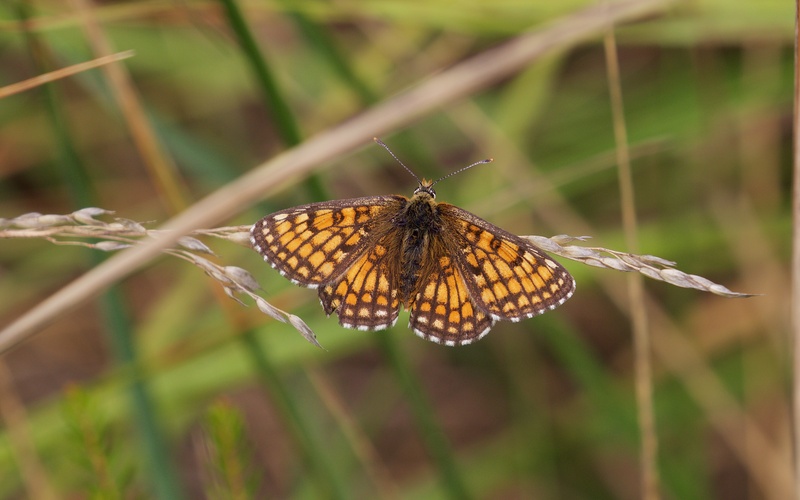 Glanville fritillary (Melitaea cinxia) was along the railway track and on the Plateau d’Argentine. Larva feed on Veronica spicata (as I have seen in Montenegro) but more likely Plantago. 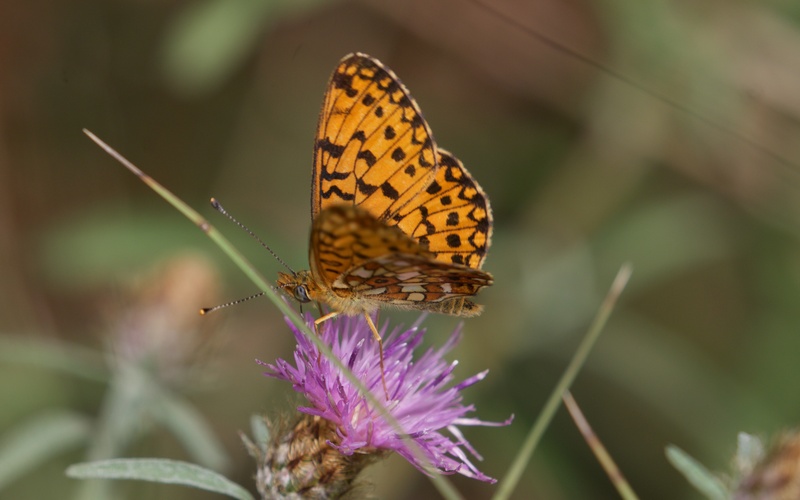 Underside of Glanville fritillary; the black dots in the orange band are distinctive. 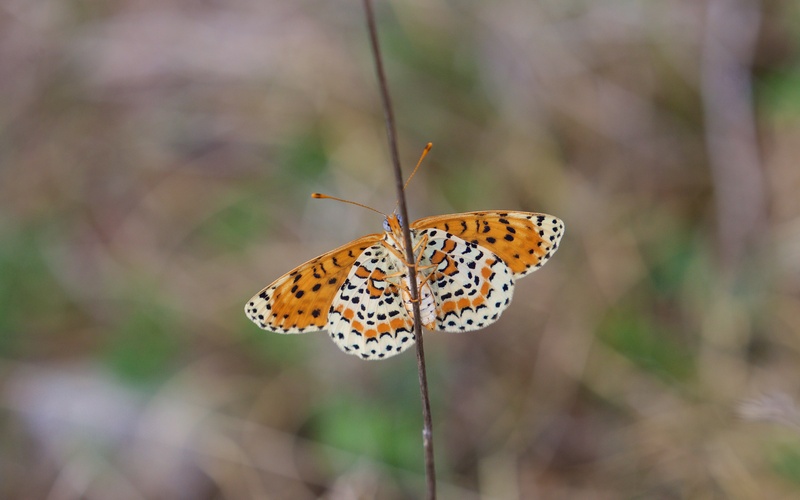 Upperside of Glanville fritillary; the line of black dots in the submarginal lunules of the hindwing are again distinctive. 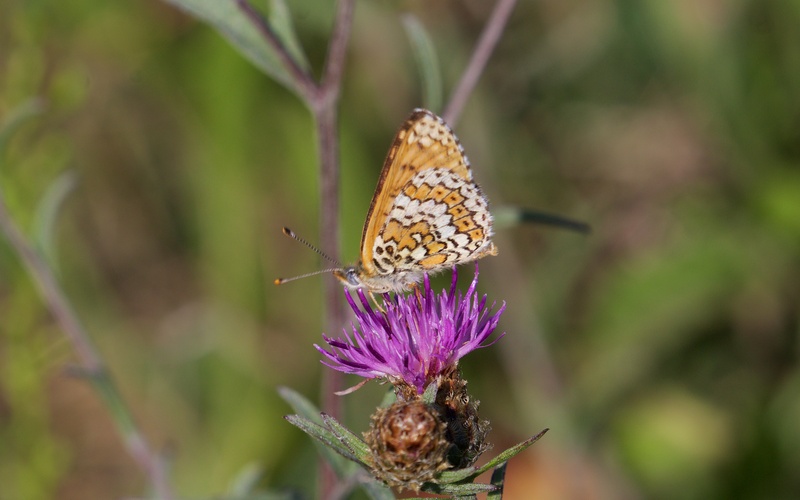 Knapweed fritillary (Melitaea phoebe) was found everywhere but the Moulin de Perdrigeau and the Plateau d’Argentine. Larva of course feed mainly on knapweed (Centaurea) species. Underside of knapweed fritillary on knapweed; I think the orange blobs in the line of black-edged lunules are distinctive. 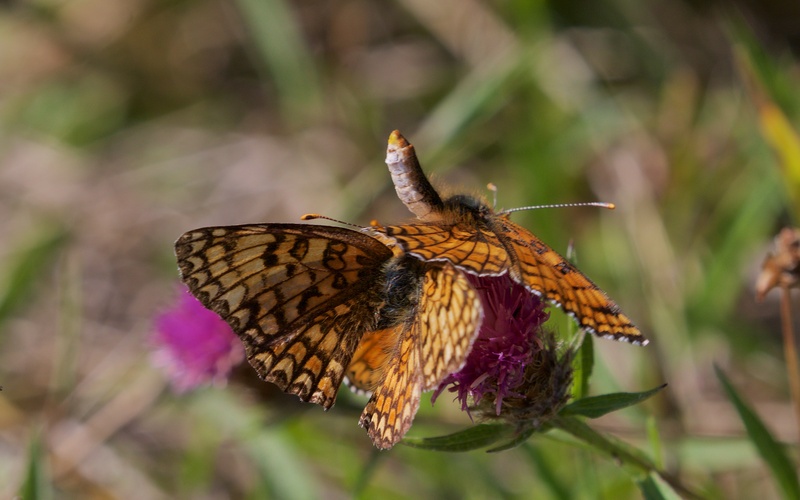 Upperside of knapweed fritillary; the female has her abdomen raised to indicate to the pursuing male that she has already mated. The large submarginal lunule, 3rd up from the base of the upper forewing (known as upf S3) is the key distinguishing feature. 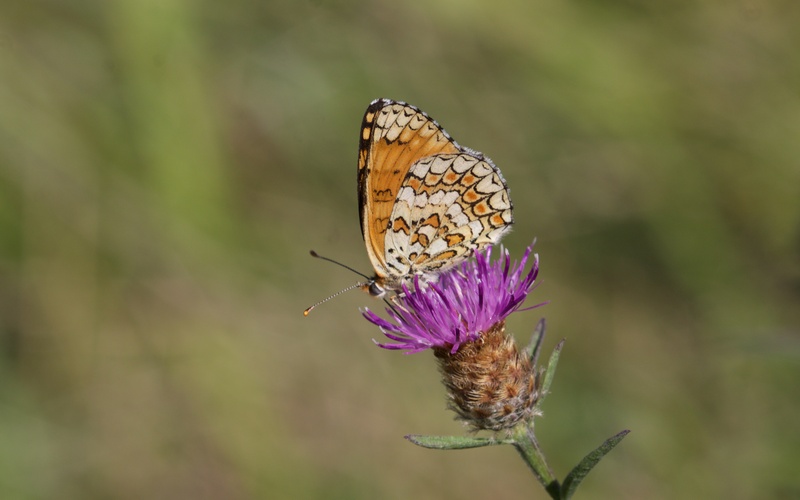 Spotted Fritillary (Melitaea didyma) was only found on the limestone grassland or causse on the Plateau d’Argentine. Underside of spotted fritillary; utterly distinctive, à la mode patterns compared to the rest. Not sure how else to put it. Upperside of spotted fritillary; very much more quotidien than the underside. I think this is a female.